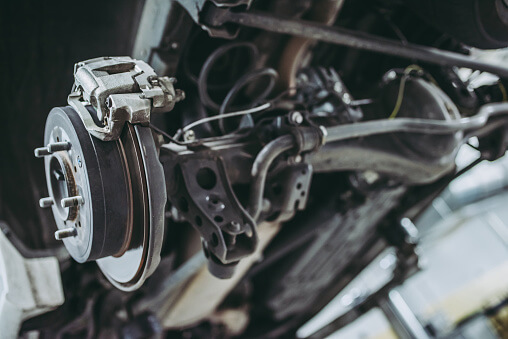 If you’re experiencing any of these issues with your brakes in Rohnert Park, it’s important to bring your vehicle in right away. Worn brakes can be unreliable and extremely dangerous, especially in wet weather. For safety, it’s critical that you get service to your car as soon as possible. What does it mean when someone says “new brakes”? Generally, the brake pads are what need replacing. However, if maintenance has been deferred for a long period, your brake rotors, calipers, or other components may be damaged. In that case they might need repairs or replacements. When you need service to your brakes in Rohnert Park, it is cheaper – and safer! – to head to the auto shop as soon as you experience any of the warning signs. We are a locally owned and operated business that stands by our work. We offer a 2 year/ 24,000 mile warranty on repairs. We want all our customers to have a smooth running vehicle for years to come. Come to RPM Automotive Services when you need maintenance or repairs on your vehicle. We look forward to working with you!